With circulation of more than 35,000, Johns Hopkins Nursing Magazine is distributed to Johns Hopkins University School of Nursing Alumni; nurses at four Hopkins-affiliated hospitals; current, newly accepted, & prospective nursing students; nursing schools and nurse leaders; donors, friends, media, and legislators; and University hospitals and libraries. The school approached Orange Element for a redesign seeking to update and modernize the magazine’s look and feel, re-organize the content, and design and implement a digital strategy. Successful publications are all about focus. They must be driven by thoughtful concepting, great design, understanding how to speak to specific audiences, and seamless digital-print integration. 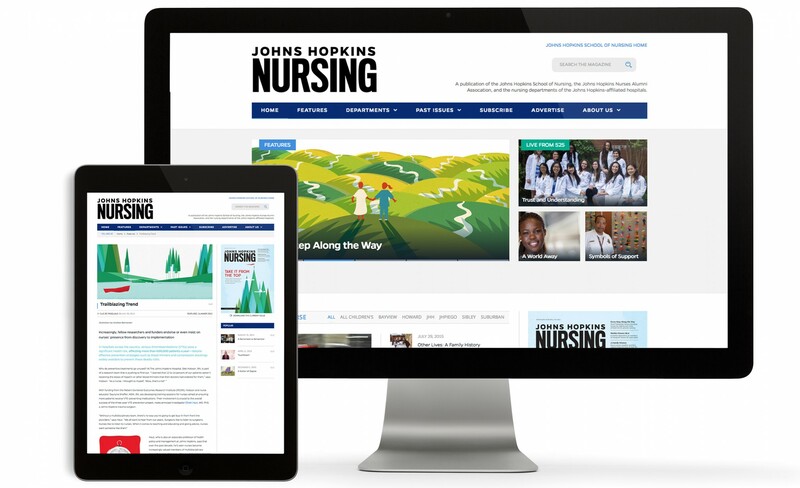 These are the things that informed our approach to the Johns Hopkins Nursing magazine, which we completely redesigned starting with the Spring 2014 issue. 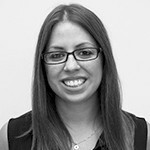 When a project involves both digital and print components, it is critical that the two sides work together seamlessly. After completing our redesign of the magazine, focus turned to working with the School of Nursing to translate our thinking for the online version. We started by helping the School of Nursing rethink the magazine to accommodate new content ideas, then designed a new look and layout to bring it all to life. Now, with more than two years and seven issues complete, we continue to maintain a fluid process and produce a refreshing, new magazine each time.